Investigate the chemistry of candy! Find out about the chemistry of candy and how sugar reacts at different temperatures to become fudge, caramel, lollipops, and more in this interactive activity adapted from the Exploratorium. This activity presents a scientific definition of sugar, including an illustration of a sugar molecule; explains how candy makers prevent crystallization from ruining their creations; and addresses the question: Is sugar bad for your teeth? 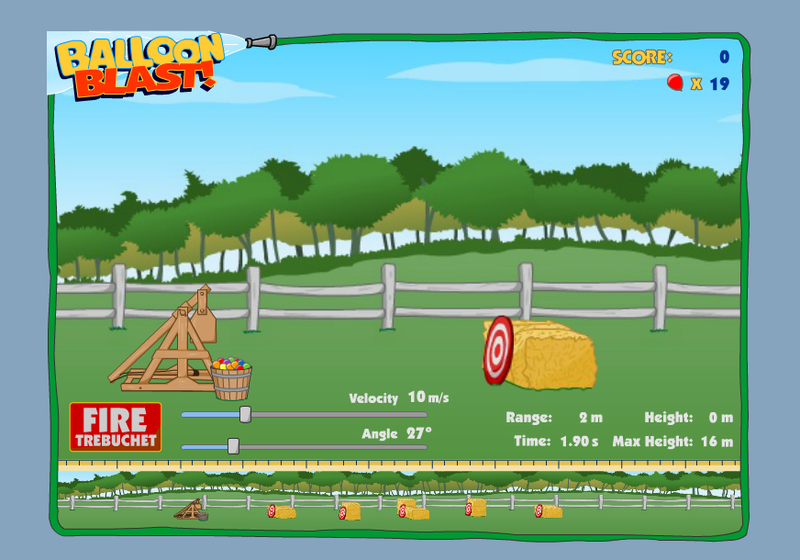 In this interactive game, learners explore the fundamentals of projectile motion as they fire a virtual catapult at a target. Change the velocity, then adjust the initial angle so the projectile will hit the target. Resource introduces the idea that projectiles have both horizontal and vertical components of motion. In this interactive activity from Shedd Aquarium, students design a fish that has the right adaptations, or traits, to help it survive in a reef environment. A body, mouth, and color/pattern are chosen, then fish is released into the ocean reef to search for food and evade predators. Fish are steered around the reef to see how well it can survive with the traits chosen. In this game determine the causes and effects of global climate change. Help students become knowledgeable about the human impact on the environment. Explore the carbon, water, and nitrogen cycles and the relationships between the natural systems on Earth. In this interactive activity adapted from NOVA, students learn about properties of materials such as tensile and compressive strength, toughness, hardness, ductility, malleability, flexibility, electrical and thermal conductivity, and resistance to molds, water, heat, and corrosion. Play a game to identify ten mystery materials using videos and clue cards. Investigate the physical, chemical, and mechanical properties of 10 mystery items. Create a free account on PBS LearningMedia to search, save, and share your favorite resources!